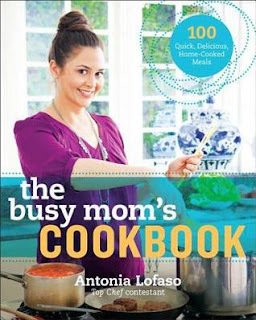 I was super excited when I saw Antonia Lofaso's new cookbook, The Busy Mom's Cookbook, on the new release non-fiction section of my local library's website. I had to request it right away, and was so excited to check out all of the recipes once I brought it home. She was one of my absolute favorites on Top Chef! This cookbook has tons of good recipes and they all seem really easy to make. I wish there were more pictures along with the recipes, but it's still great! 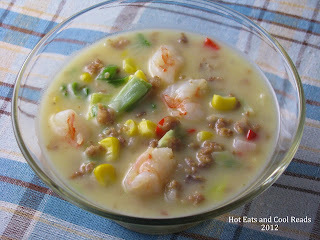 This recipe for Shrimp and Sausage Corn Chowder immediately caught me eye. The flavors sounded great, and I've been wanting to try some new and different soup recipes. Even better, I had all of the ingredients at home, so it was a no-brainer! This turned out amazing and I am so glad I decided to try it. I really liked how quick and easy it was to make too. This will be added into our menu on a regular basis! Enjoy!! In a large sauce pot, heat the olive oil on medium high. Add the sausage, red and green peppers, onions, salt and pepper. Saute, breaking up sausage into bite sized pieces, until sausage is cooked through. Reduce heat to medium. Add butter to the pan. After the butter is melted, stir in the flour. There should be enough liquid in the pan for the flour to be completely incorporated. Continue stirring for another minute. Pour in the milk and chicken stock, stir well and bring to a simmer. Reduce heat to medium low, and allow chowder to thicken for about 4-5 minutes. 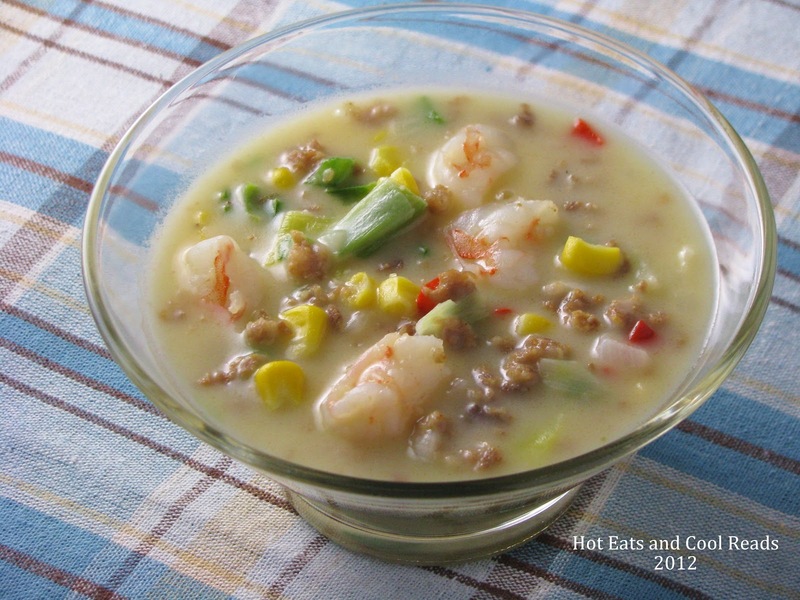 Stir in corn and let chowder simmer for 15-20 minutes. Add shrimp and simmer for about 3-4 minutes or until shrimp is pink and curls into itself. Remove from heat and serve! You can find this great recipe and more in The Busy Mom's Cookbook! Soup is my favorite too!! Thanks so much for pinning. You will love this one! Your Chowder has me drooling, I love Chowder and this looks delicious! Hope you are having a great weekend and thank you so much for sharing with Full Plate Thursday. New follower from Six Sisters. Love for you to stop by and return the follow when you can ;) I am hosting Moms Monday Mingle tomorrow evening. Love for you to stop by and link up. Your welcome!! Thanks so much for hosting! 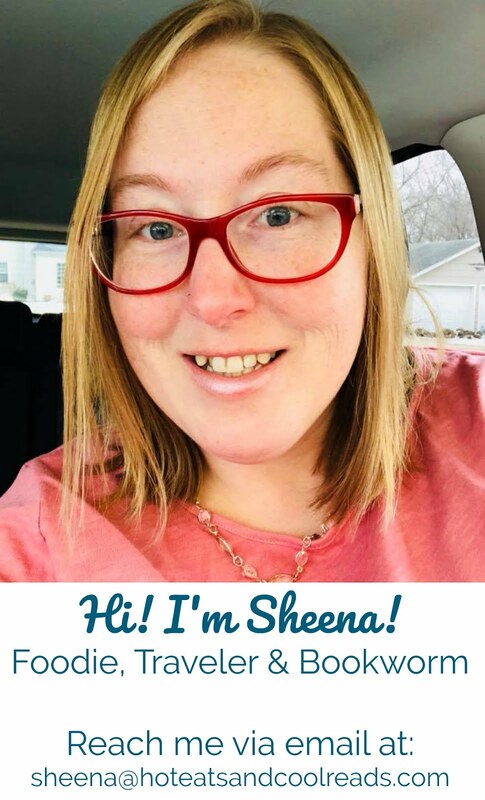 Thanks so much for sharing this on Manic Monday. It looks delish!! I've made this soup once and it was delicious. I'd like to make it this weekend, but I want to add potatoes to it (for a true "chowder" experience). When do you think I should add the cubed potatoes?